The modulation of the autonomic nervous system (ANS) has been shown to prevent myocardial ischemia-reperfusion injury (MIRI). Carotid baroreceptor stimulation modulates the ANS by sympathetic withdrawal and vagal activation. The aim of this study was to assess whether low-level carotid baroreceptor stimulation (LL-CBS) attenuated MIRI and test its underlying molecular mechanisms. Forty adult healthy mongrel dogs were randomly assigned to three groups as follows: (1) I/R group (n = 15): left anterior descending artery (LAD) was occluded for 1 h and allowed for 1 h reperfusion; (2) LL-CBS group (n = 15): I/R plus LL-CBS; and (3) sham group (n = 10): sham surgery without stimulation. The voltage-reducing blood pressure by 5 % was defined as the threshold. LL-CBS was performed at a voltage that is 80 % below the threshold. Infarct size was assessed with Evans blue and TTC staining. The inflammatory cytokines, biomarker of oxidative stress and apoptosis, and connexin 43 (Cx43) expression were measured to assess the injury. 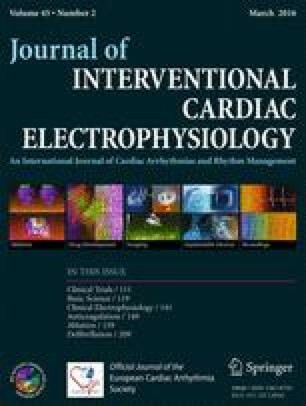 The number of ventricular tachycardia/ventricular fibrillation (VT/VF) episodes was significantly decreased in the LL-CBS group compared with the I/R group (2.8 ± 0.8 vs. 7.0 ± 2.6, P < 0.05). LL-CBS reduced tumor necrosis factor α, interleukin (IL)-1, IL-6, and malondialdehyde levels but increased superoxide dismutase level compared with the I/R group (P < 0.05). Meanwhile, LL-CBS significantly decreased the percentage of terminal deoxynucleotidyl transferase-mediated dUTP-biotin nick end labeling assay (TUNEL)-positive cardiomyocytes (20 ± 8 vs. 47 ± 12, P < 0.05). Western blotting and real-time polymerase chain reaction (RT-PCR) in Cx43 revealed that LL-CBS caused an increase, respectively, compared with the I/R group (0.75 ± 0.3 vs. 0.3 ± 0.2 and 1.0 ± 0.3 vs. 0.4 ± 0.1, respectively, both P < 0.05). LL-CBS exerted cardioprotective effects during ischemic reperfusion period potentially by inhibiting inflammation, oxidative stress, and apoptosis and modulating the Cx43 expression. Xia Sheng, Mingxian Chen and Bing Huang contributed equally to this work. This research was supported by grant numbers 81470597 and 81570460 from the National Natural Science Foundation of China, grant number 201115061 from the Natural Science Foundation of Jinlin Province, and grant number LY13H020003 from the Nature Science Foundation of Zhejiang Province. The authors hold no financial stake or interest in either of the commercially available diagnostic kits evaluated in this study or any others.